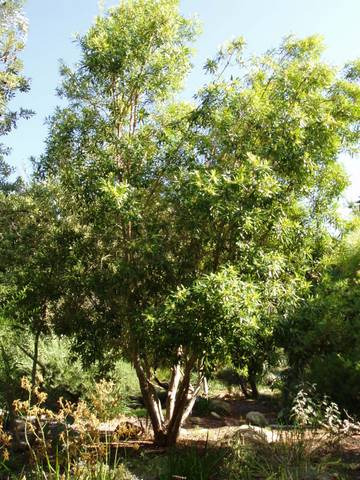 Handsome medium sized tree 30-40' (often multi-trunked) with grey-white smooth bark, deep green glossy leaves (leaves redden in cooler areas) and small masses of yellow flowers in spring. Tolerant of most soils and situations. Responds to summer water in Mediterrean climates.nInitially slow growing. 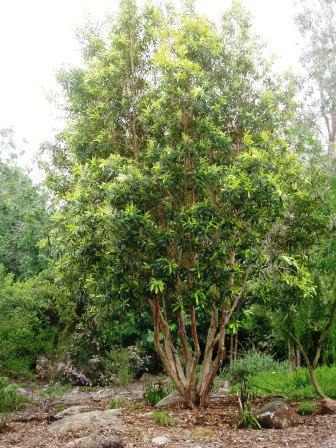 Suitable for street tree plantings and most gardens.